This came through in a personal message to a woman in my group, Magickal Musings, just a few minutes ago. I am going to be posting this all over so if you see it 5 – 7 times on your daily feed, I apologize, but this particular message is worth as much repetition as it can garner. Also, feel free to share. Just cut & paste the entire message below, and please include my name & site link at the bottom as I have included it here so people can find me if they so desire. Now here is Michael’s message. I am shaking all over from this! This message was received in response to someone asking me what a high pitch whine in their ear could mean and that they have suddenly developed a gift of “inner knowing” when they hug people. I responded by telling her this is all part of the results of the culmination of the Great Shift that ended on 12/21/12. 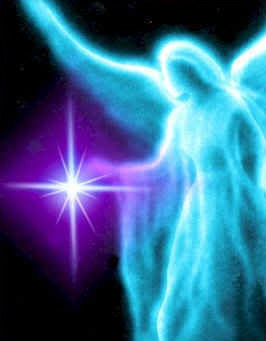 That many of us have been given new gifts that will develop over the course of the next year or so, according to what have been told by Archangel Michael, whom I have been channeling since 1998. As I was thinking I was finished commenting to her post Archangel Michael came through with a message for her, but it is truly for all the world. The use of upper-case was dictated by Michael. This is his way of adding emphasis to his words during a channeling session. Nefer Khepri, PhD, R. M-T.